Cats can’t eat all the food items that we humans eat. It can become very difficult to figure out what kind of food your cat should never eat. Cats are curious by nature and this curiosity sometimes can land them in trouble. But, then we all are aware of the old saying that cats have nine lives. This doesn’t mean we can feed poisonous food for cats. There must be a strong reason why certain types of foods cats should not eat and as cat owners you should be aware of these foods, so that your feline friend lives a long and healthy life. Certain human foods are not suitable for cats and most people are not aware of this fact, as we all assume that whatever humans can eat even cats can also eat without any harm. It is common knowledge that you should keep the cats away from alcohol, but were you aware that onion powder can cause amnesia in cats and dogs. The effects of onion powder can range from stomach illness and severe health issues that can lead to death. We all like sharing our food with our feline friends once in a while during lunch or dinner, but this habit should not be encouraged as it will rob your cat’s body from the right kind of nutrients. Some foods that are ideal for human consumption can be toxic for cats. These food products can cause serious damage to their health. Be careful while feeding your feline friend as there are a lot of foods your cats should never eat. The following is the list of poisonous food for cats and should be avoided at any cost. Alcohol is one such food cats should not eat. Cats should always be kept away from alcohol or alcohol based drinks and foods. 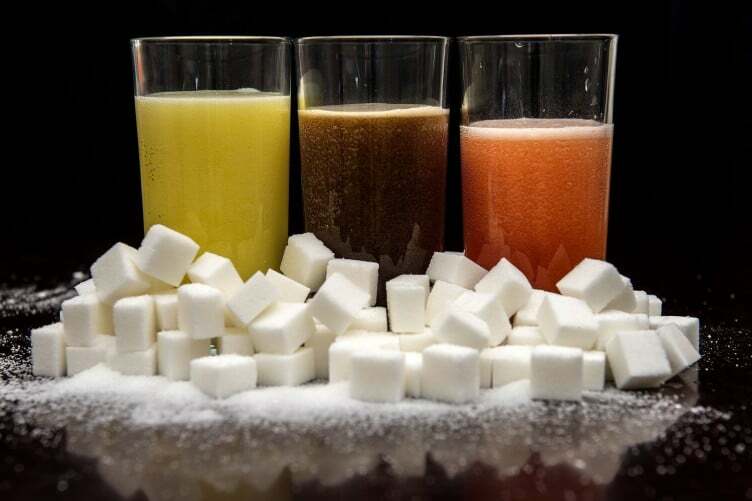 These common drinks that contain alcohol like Beer, liquor, wine, chocolates containing champagne and certain cakes that contain alcohol should be avoided at all cost. Alcohol is extremely harmful for your cat’s health as alcohol has the ability to affect your cat’s brain and liver in the same way like it affects humans, but the effects are pretty fast in cats. You will be surprised to know that two teaspoons of whiskey can put a fully grown cat into coma. If you increase the quantity by even a spoon, then it can even kill the cat. Cats and dogs can get alcohol toxicity by just ingesting fermented foods that contain alcohol. If cats are exposed to alcohol it can depress their nervous system leading to difficulty in breathing and slow down their heart rate. The whole body temperature drops down drastically and the blood starts becoming acidic. Without quick treatment at this point can lead to cardiac arrest. The toxics found in the alcohol can damage their liver, kidney and slowly reduce the quality of their life. If you have a bar at home, then make sure you keep them locked. If you have to party, then ensure your pets are in a safe place. Chocolates can be very deadly for cats. Yes, the popular sweet we humans consume almost on a daily basis is one of the poisonous foods for cats. Most cats on their own will not eat chocolates. This doesn’t mean that you should tempt or offer your cat chocolates. Derived from the cocoa plant, the chocolate contains certain chemical properties that can be very toxic for cats if they ingest it. Chocolates contain theobromine and caffeine, which is highly toxic for cats. Theobromine is found in high quantities in dark chocolates and in the unsweetened baking chocolate. These ingredients can lead to various complications that can be pretty serious and even cause death. If a cat consumes high amount of chocolates it can cause heart attack. Chocolate poisoning in cats may have various symptoms like diarrhea, vomiting, rapid breathing, muscle rigidity, increased heart rate, seizures, and low blood pressure and in severe cases heart attack, weakness and coma. The symptoms in a cat will depend on how much chocolate has the cat ingested into his system. If you notice any of the above symptoms in your cat, then rush him to the nearest veterinarian immediately. Chocolate is one such foods your cat should never eat or even attempt to eat. A few bites or bits of dog food will not harm your cat’s health. Dog food should not be a substitute food for cats. A lot of families have both dogs and cats as pets. Dog and cat food have many common ingredients, but cat food is specially formulated to meet the bodily requirements of a cat, which includes protein, certain vitamins and fatty acids. A lot of people feed their cat canine food and vice versa without understanding the implications it has on its overall health. Once in a while its okay, but feeding cat’s dog food is a complete no. Cats require Vitamin A, Taurine, Arachidonic acid and protein all which are required for both these animals, but in varying degrees. A dog food won’t be able to provide the required nutrients for a cat’s body leading to malnourishment. Cats require a certain amount of fat and protein in their diets, which a dog food won’t supply. Low amount of protein for cats may not kill your feline friend, but that is not the natural diet of the cat and therefore can harm the cat in the long run. Dog food is certainly one of the foods cats should not eat if possible. Milk and cat are like a match made in heaven and who would believe that cow’s milk can be harmful for the cat. Milk is a complete no-no for cats. Cats are lactose intolerant, which means as they grow, their body is unable to digest the lactose found in the milk. This leads to diarrhea and stomach upset in cats. Cats find it difficult to digest lactose that is present in milk and the only time they can tolerate lactose is when they are kittens and in their mother’s milk. Cat’s body is not designed to process dairy foods. To digest the lactose, the milk sugar, human as well as the feline digestive system must contain the enzyme Lactase and this enzyme is in plenty at birth, which allows the kittens to survive on their mother’s milk. As the cat grows the amount of lactase decreases in the system that in turn causes intolerance to lactose in cats. Most of us must have given milk to cats, and never noticed a problem. The reason being, some felines can tolerate milk. So how do you know if your cat is lactose tolerant or not? Try offering your cat a few teaspoon of milk and if you don’t see any adverse reaction within a day, then you can be assured that your feline friend will be fine with cow milk as a treat occasionally. Most Vets won’t recommend this, as cats don’t need milk for their growth. 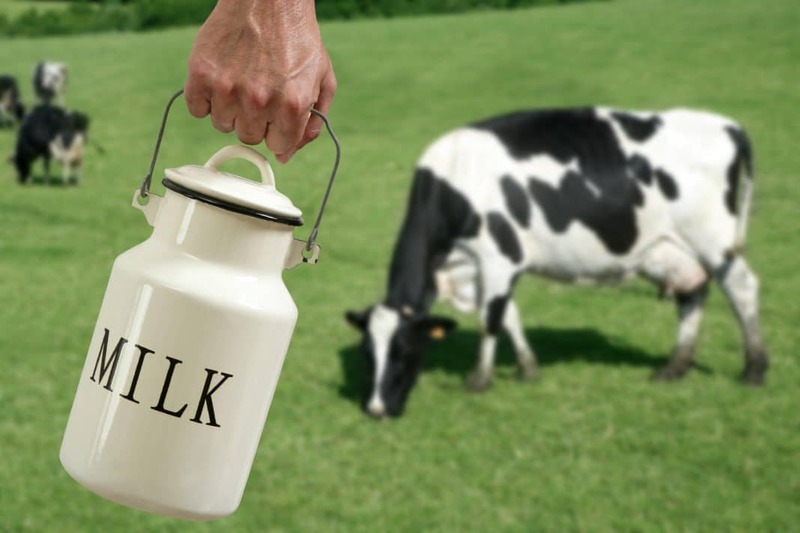 They would still consider cow’s milk as one of the foods your cats should never eat. Cats are carnivores and it is important for them to consume more meat and fish as their main ingredient in their diet. 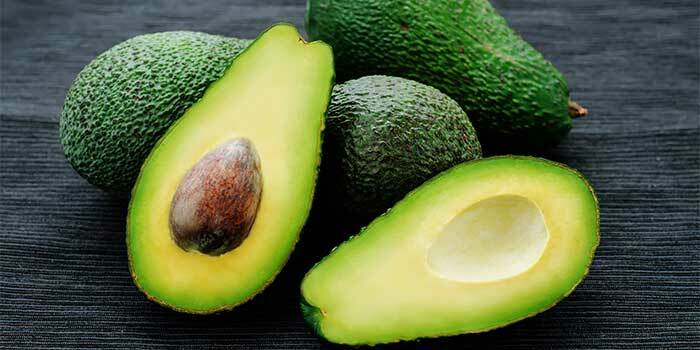 Avocado is another food source if ingested by cats can cause indigestion and diarrhea. Avocado contains a toxin called persin and eating the fruit or parts of the avocado tree can be harmful for your cat. Persin doesn’t affect humans and some varieties of avocado will not trouble the cats that much, but there is always a risk of poisoning. Guatemalan Avocado variety contains high amount of persin and is known to cause health problems in not only the cats, but also dogs and other animals. Avocados are mildly toxic for cats, but if they are consumed in high quantities it can cause upset stomach, diarrhea, and vomiting. Young kittens and adult cats with health issues are more prone to be seriously affected. If your cat is finding it difficult to breathe, swallow and is even suffering from high fever, it would be advisable to seek emergency treatment. Although avocados should be avoided at any cost for cats, you may still notice commercial products for cat like shampoo and food containing avocado. These products contain extracts from Avocado and not the Persin. The Avocado oil and extract is safe for cats to ingest. Onions and garlic are poisonous food for cats. Since cats are a part of the family we may at times would like them to eat our food without knowing how harmful it can be for our cat’s health. One such food item is onion and garlic. All the members of the onion family are toxic for your cat. These two foods cats should not eat at any cost. Toxicity can occur even if you feed them fresh, dried, powdered or cooked. Allium species of plants like garlic, onions, shallots and leeks are toxic for cats. If a cat eats one of these products, the red blood cells of the cat can get damaged hampering the ability of the cells to carry oxygen. Ingestion can even cause anemia and in very severe cases cause internal organ damage or failure and even cause sudden death. 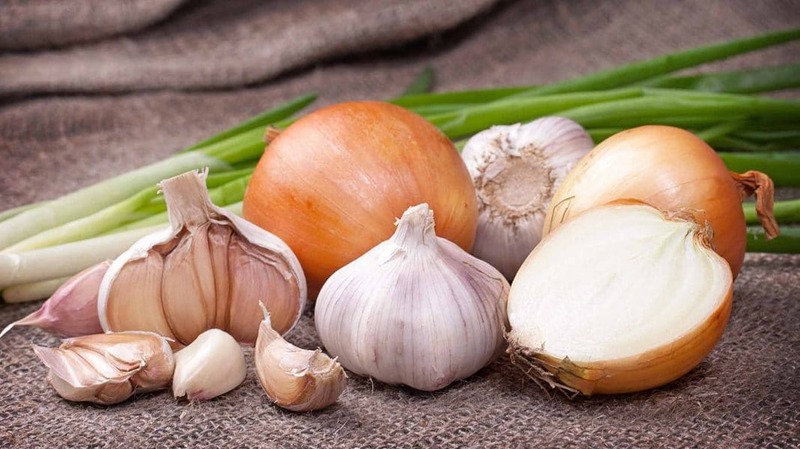 The symptoms of onion and garlic toxicity include weakness, lethargy, hyper-salivation, and red colored urine, pale gums, ataxia, diarrhea and sometimes vomiting. If identified early, the vet may induce vomiting, and decontaminate the gastrointestinal system. Make sure you read the food label properly before purchasing cat food as many of the meat based foods are seasoned with onion or garlic, the foods your cat should never eat. Cats are less likely to eat raisins and grapes and hence cases of poisoning in cats are very rare. Humans have this tendency to feed cats and dog’s food that is fit for human consumption as treats. This can sometimes turn into a serious health issue for cats as some treats can be poisonous foods for cats. Grapes and raisins are healthy snacks for humans, but they are not the right kind of foods your cat should ever eat. Eating grapes and raisins can cause sudden kidney failure. Not all cats that eat these foods can suffer from kidney failure, but to be on the safer side, it will be wise to keep these foods away from your cats. 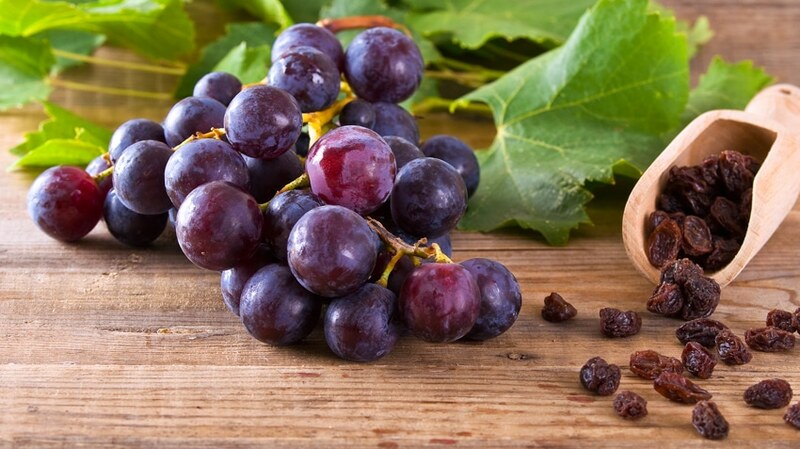 The reason for renal failure due to grapes is still not known. The severity will depend on the amount of food consumed by the cat and in case of raisins, which is more concentrated than grapes; the toxicity will be much higher. If you notice any symptoms like lethargy, diarrhea, abdominal pain, lack of appetite, decrease in urination and weakness, get early treatment as soon as possible. The symptoms are usually visible after 24 hours of eating the foods cats should not eat. The exact reason why macadamia nuts affects the cats overall health and its toxicity is not known. Veterinarians will confirm how many cats and dogs come to them for treatment after consuming these nuts and the number will baffle you. 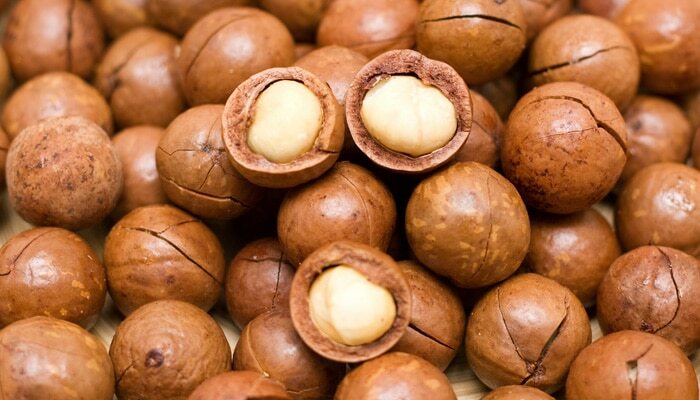 The macadamia nuts contain an unknown toxin that can affect the digestive and the nervous system, and muscles of cats and dogs. The symptoms of nut poisoning usually start after 2-4 hours of food consumption. The common symptoms include lethargy, weakness, vomiting, hyperthermia, lameness, tremors, abdominal pain, and stiff joints. These nuts are dangerous for dogs, but to be on the safer side, it would be wise to keep our cats away from the macadamia nut. Immediate treatment includes inducing vomiting if ingestion was within an hour. A vet will induce vomiting. An activated charcoal is administered if the nuts were covered with chocolate. If large amount of nuts are ingested, then enemas may be required. To prevent dehydration, IV is administered to prevent dehydration. The toxins in the macadamia nuts that is responsible to harm our pet’s health is not known, but it would be safer to say that macadamia nuts are one of the foods your cat should never eat. Cats love human food and it is a common sight to see them pleading for treats. All human foods are not safe for cats and raw eggs are one such food cats should not eat. In small quantities, raw eggs are fine for cats. The egg yolk is rich in nutrients and amino acids that are required for the overall growth of the feline and before introducing any new diet, it is imperative to discuss it with the vet. Raw egg white is not safe for cats to consume because of the avidin component according to ASPCA. It is an anti-vitamin that is present in the raw egg whites. It restricts the absorption of biotin, but also affects the chemical processes of amino acids, energy, fats and glucose. Raw eggs can lead to various other problems in cats leading to issues of skin and fur. 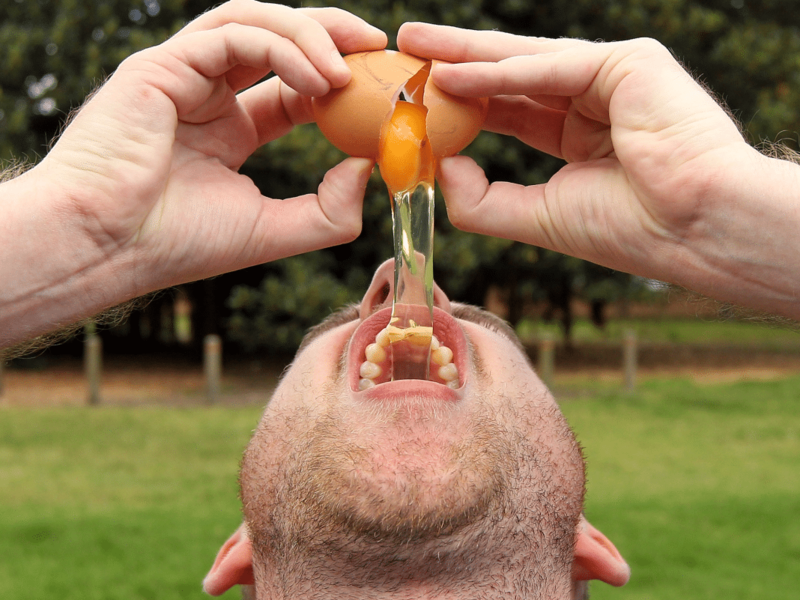 When separating an egg yolk, make sure there is no egg white present. Discard all the egg white and give your cat only the yolk. Your cat should be fed with good quality cat food that is specifically formulated to meet their bodily requirements. Once in a while egg yolk is fine as a snack and keep the egg white away from your cats. Cats love seafood and tuna also features in the favorite seafoods list of cats. Tuna is fine for cats, only if it is in moderation or if given as a treat. Too much of tuna is bad for your cat’s health. 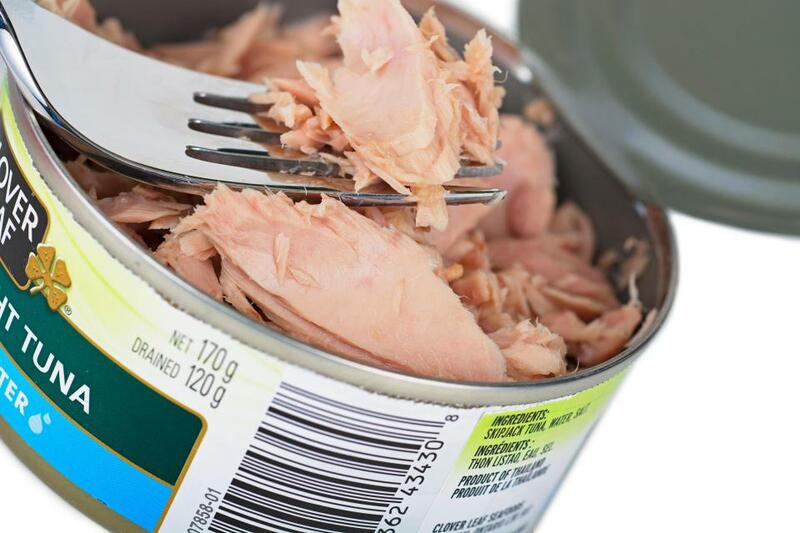 Fish is rich in protein, but there are various reasons why human grade tuna is not safe for cats. Tuna alone doesn’t provide the entire nutrients for cats and also some cats are allergic to fish. Most fish contain mercury and higher up the food chain fish is, the more the chances of mercury accumulation. Tuna is high on the food chain and hence contains very high levels of mercury compared to other fish. This can cause mercury poisoning. Tuna is one of the foods cats should never eat as it is also high in unsaturated fats and too much of unsaturated fat is not good for your cat. Too much tuna can cause vitamin E deficiency leading to fatty tissue also called yellow fat disease. Cat that consume large amounts of red tuna suffer from this condition. Make sure you feed your cat good quality commercial cat food and limit the quantity of tuna to treats once in a while. Fish is not a natural food for felines. Cats have learned to love fish and it is not a great idea to feed cats with fish. It is simply not safe to eat fish. Raw fish and raw meat just like raw eggs can contain bacteria that can cause food poisoning in cats. Raw fish contains an enzyme that destroys thiamine, which is a required Vitamin A for cats. Deficiency of thiamine can lead to serious neurological problems causing convulsions and coma. Cats have different dietary requirements and their metabolism is different compared to the humans. 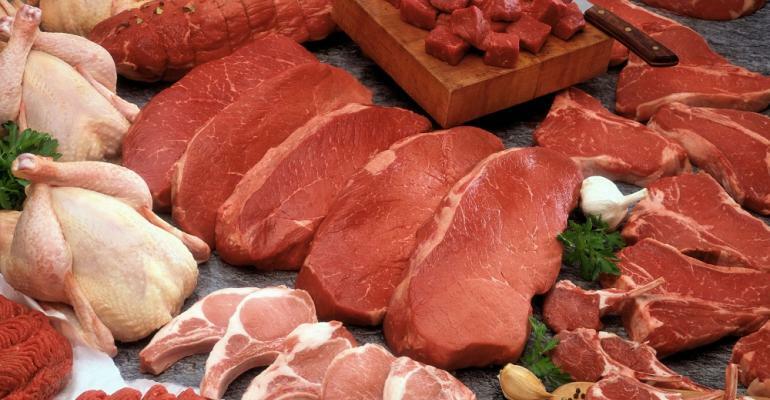 Raw meat can be contaminated with bacteria like Salmonella and E.colli, which can cause diarrhea and vomiting. Fish based cat food contain very high levels of histamine, a protein that can cause allergic reactions. Moreover, fish is an addictive food for cats. They just love it and often go on hunger strike by refusing to eat their regular cat food in favor of fish. High dosage of fish can cause thiamine deficiency leading to loss of appetite, seizures and in very severe cases lead to death. Small amount of fish and cooked meat is good for your cat, but anything more than the required quantities can prove to be poisonous foods for cats. Dough that contains yeast is one such food cats should not eat. 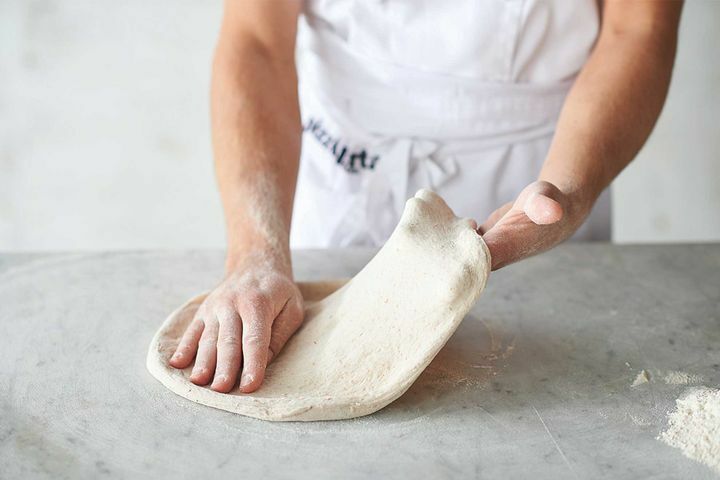 If the dough is consumed in large quantities it can be hazardous to your pets. After ingestion the dough may rise causing intestinal obstruction. The yeast in the dough can ferment sugars creating a problem of alcohol poisoning in cats. If yeast dough is consumed by cats, the level of toxicity maybe mild to severe depending on the amount of dough consumed. The unbaked bread dough expands in the moist and warm environment of the stomach that can cause bloated stomach; this can then result in twisted stomach. The symptoms of bloated or twisted stomach includes vomiting, elevated heart rate, hypothermia, drooling, retching, weakness, coma and death. When the dough is not baked it can ferment and produce carbon di oxide the prime reason for bloating and alcohol. 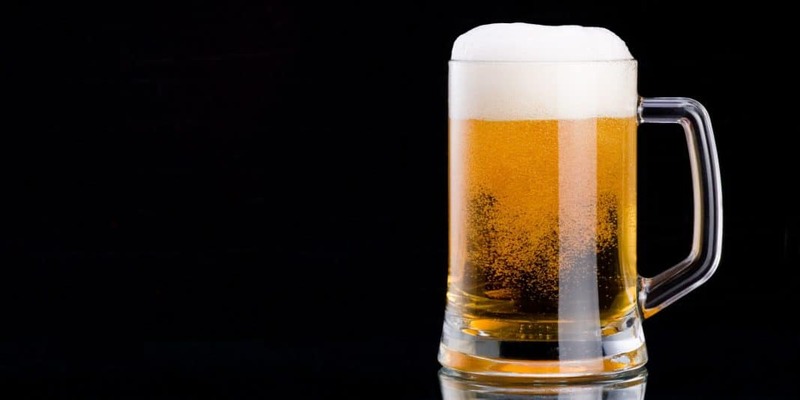 Alcohol from the fermenting yeast gets absorbed into the bloodstream and results in alcohol poisoning. Excessive alcohol leads to blood sugar, body temperature, and blood pressure in cats and dogs. Cats that are intoxicated can experience seizures. Make sure you call your veterinarian immediately if you notice any of these symptoms. It is a proven fact that cats can’t taste sweets. Spice and sugar are of no interest to cats. The only thing that interests them is meat. Sugar laced foods and drinks are extremely harmful to your cat’s health. These food products contain high levels of sugar, which can be extremely toxic for your cat. Sugar based foods can cause obesity and in the long run lead to diabetes just like it happens to humans. Sugar has the ability to take a toll on the dental health of cats. A lot of commercial cat foods contain high levels of sugar or hidden sugar that can have a bad effect on the health of your feline friend. Always read the label before you buy any such commercial cat food, so that you know what goes into the cat’s body. Cats do not have any natural preference for sweets, so rewarding them with sweets is very unattractive for them. It is very usual to notice cats hanging out for sweets, biscuits and chocolate or even sweet drinks. According to experts cats have developed defense mechanisms against such kinds of food. However, if your cat has been eating sweets right from its childhood, then they tend to eat it. Too much sugar can cause flatulence and stomach cramps. Sweets are one such food your cats should never eat for maintaining good health. Occasional nibble of dog food is fine and won’t hurt your cat’s health. Long-term consumption of dog food is certainly not recommended. For complete nutrition always feed your feline cat food recommended for its age. The nutritional requirements of dogs and cats are different and if they are fed with dog food, cats can become malnourished. Dogs are omnivorous and can easily derive nutrients from both animal and plant based foods. Cats, on the other hand are carnivores and they must eat animal based proteins to obtain the required nutrition for them to maintain good health. Dog food contains less protein compared to the required amount for cats. The protein found in the dog food is derived from plants, which is inadequate for cats. Animal based foods like meat and meat products contain 23 different types of amino acids, 11 of which your cat needs to survive and this is possible only by ingesting meat based products. Dogs don’t need all the 23 amino acids to survive. A dog’s body is able to produce Taurine, but a cat cannot. If a cat eats dog food, they cannot get this vital amino acid and fall sick. Dog foods your cat should never eat as it is not formulated to suit its bodily requirements. Cats are not supposed to eat food meant for humans or other pets. Cats tend to come towards their owners for bones and fat trimmings, but remember that bones can splinter and choke your cat. Bones can also block the intestinal tract, even perforating the intestines. 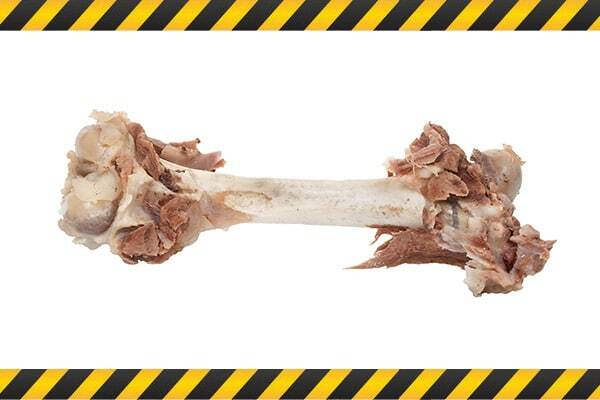 Bones are hard for the cat’s teeth and can cause dental fractures. Cats will happily eat the fat trimmings you want to offer, but this is not the best food for your cat. Eating fat trimmings can raise the level of lipids in the blood and cause pancreatitis. Pancreatitis is an extremely painful and fatal health condition in which the digestive enzymes that are secreted in the pancreas begin digesting the pancreas itself rather than the food found in the intestines. It is ideal and safe to keep the table scraps away from the cat. Table scraps lack nutrition and can cause malnourishment in cats. The best solution is to keep your feline away from the counters and tables, so that they don’t get access to these poisonous foods for cats. Liver can be given to cats in small quantities. Too much liver also has harmful effects on the cat’s health. High dosage of liver can cause Vitamin A toxicity. As cats are carnivore’s they get the required vitamin A from the prey they eat and it is a very important source of vitamin that cats cannot produce on their own. Domesticated cats on the other hand don’t go out hunting and hence are dependent on the food that you feed. Feeding liver once in a while is fine as it will meet the required nutrients for cats, but overdoing it can cause serious harm for your cat’s health. Liver is high in copper and iron, which is good for the blood. 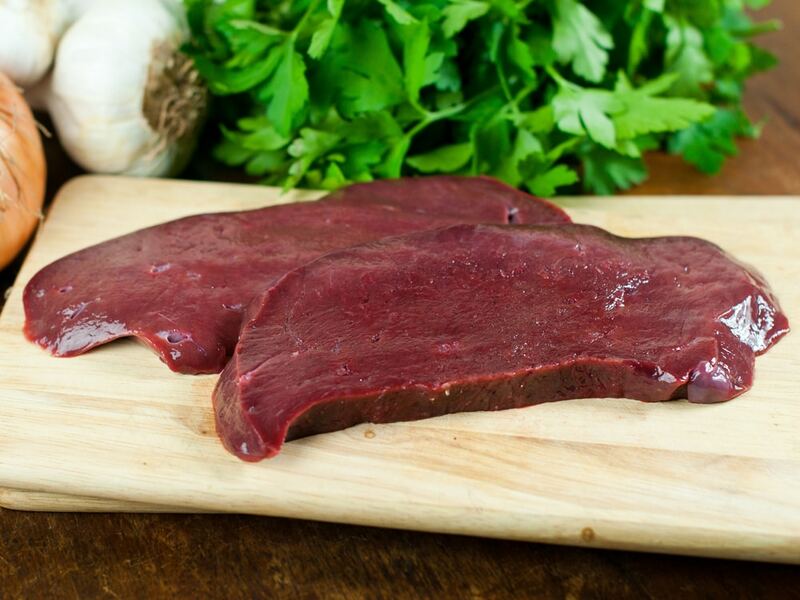 Liver is a powerful and essential source of many minerals and vitamins. Many commercial cat foods contain liver as an important ingredient. Too much of Vitamin A can affect your cats bones. Common symptoms of excess liver consumption are painful bone growth on the elbows, spine, deformed bones and osteoporosis. In very rare cases, it can even cause death. Everything in moderate quantity will not harm your cat and excess liver can be one of the poisonous foods for cats. A well-balanced commercial cat food ensures there is a right balance of salt required for your feline, but at times it can be more. Correct amount of salt is good for your cat, but anything more is harmful for your cat’s health. Salt helps the cat’s body to move the nutrients and remove the waste. It helps in creating the right amount of acids that are required to digest the food. Too much salt will throw the electrolytes out of balance and their body cells will not work properly. 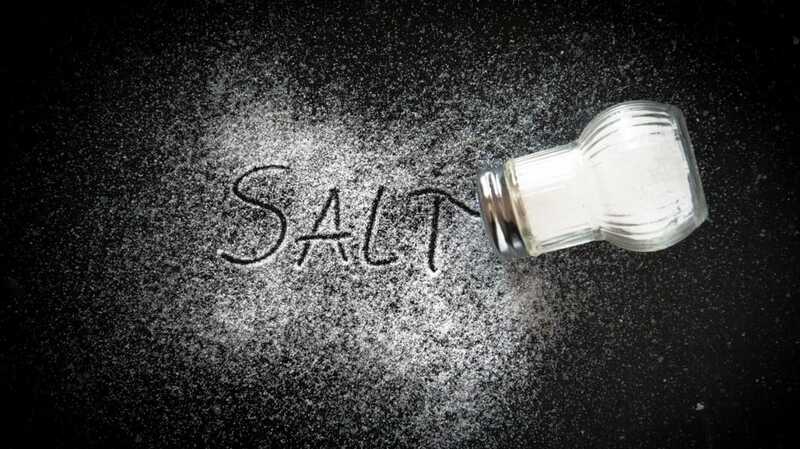 Signs of salt toxicity include diarrhea, vomiting, excessive thirst and urination, and seizures. If you suspect your cat has consumed salt more than is required, then rush him to the nearest vet for treatment. Check for food labels to check the sodium levels. Commercial cat food can contain hidden salt, which works like a taste enhancer and preservative. Go for low-salt food or get recommendations from your vet. Treats from your plate may contain higher amounts of salt that can be much more than the required quantity. Preferably go for canned food than dry foods, as dry foods contain more salt and the salt also works as a preservative harming your cat’s health in the long run. Xylitol is used extensively as a sweetener in many products like candies, gums, toothpaste and various other baked foods. Xylitol causes the release of insulin in many species, which can lead to kidney and liver failure. High levels of insulin can cause hypoglycemia or lowered sugar levels. 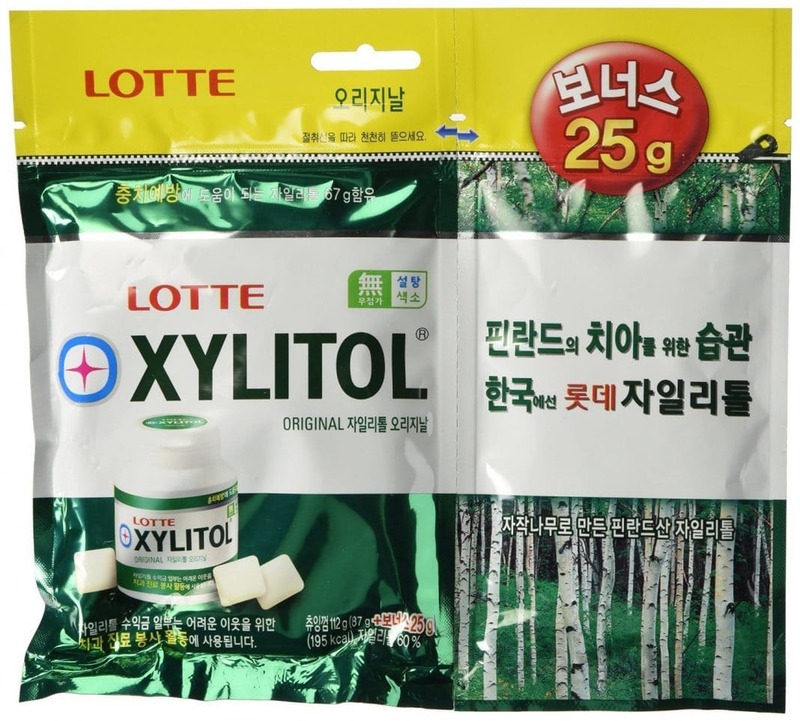 Symptoms of high levels of Xylitol toxicity include lethargy, vomiting, and loss of coordination. If not treated immediately, it will cause seizures. Cats usually stay away from sweets, hence Xylitol toxicity maybe less. But, if you feed candies and sweets right from their childhood they tend to like them. Early exposure to artificial sweeteners can be harmful for cats, affecting their health in the long run. Dogs are more affected by these sweeteners, but animals can be unpredictable, especially the domesticated ones. 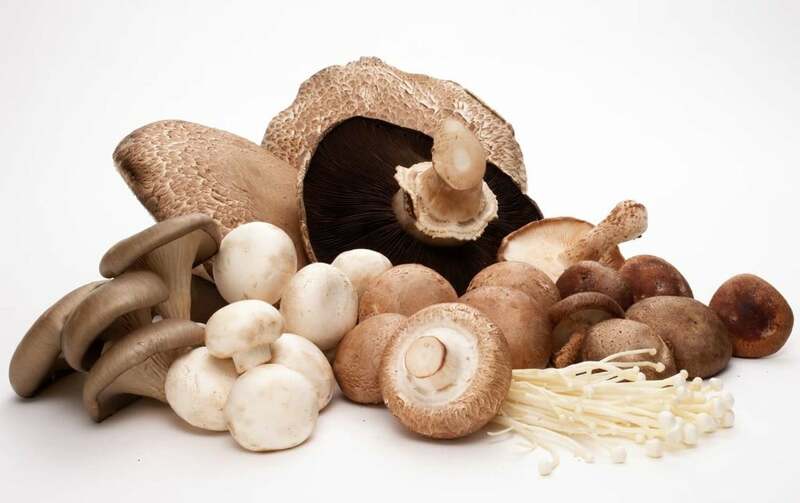 A small nibble of store brought mushrooms is fine for your cat and will not do any harm. Wild mushrooms are on the other hand very toxic for cats. Your cats can be in danger of mushroom poisoning if they venture out of the house. Outdoor cats can hunt down preys, small animals and even eat wild fungi. If you have a garden outdoors, check out for any wild mushrooms that have grown overnight. Get rid of these mushrooms before your cat notices it. Mushroom poisoning has four different levels of severity. If you notice any symptoms or reactions out of the blue, then take your cat immediately to the vet for treatment. Cats experience mild gastrointestinal irritations which may include diarrhea; vomiting and these symptoms may disappear within 24 hours of ingestion. Mild and second level of symptoms includes constricted pupils, excessive salivation and slow heartbeat. If your cat has ingested more mushrooms into his body, then the symptoms include severe abdominal pains, tremors, kidney problems damage to liver and even hallucinations. Mushroom is one such harmful food your cat should never eat as it can be potentially life-threatening. Keep mushrooms away from them at all times and remember they can climb and even open doors and open boxes. 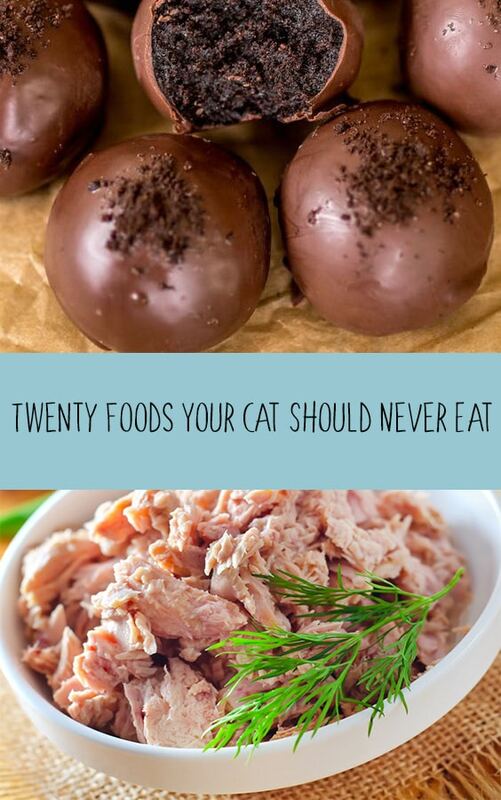 So make sure your cat cannot gain access to these harmful foods at all times. Medicines meant for humans should at any cost be kept away from cats and its reach. 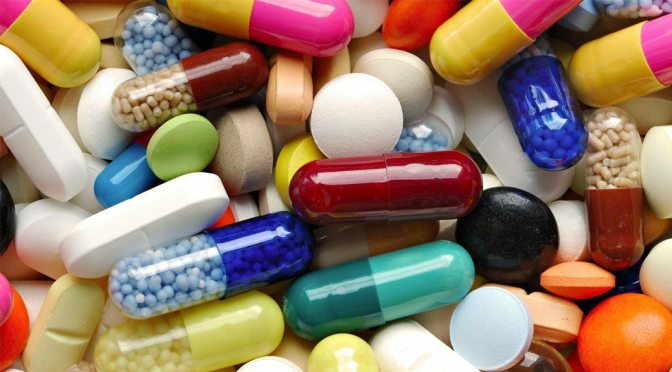 There are many over-the-counter medicines that are found lying around in various households and if your cat accidently eats these medicines, it can suffer from serious health problems. Never ever give your cat medicines meant for humans even if it is a small ailment like cold. If your cat ingests any of your medicine, then immediately take them to the vet for treatment. Never self-medicate your cat and always talk to your vet before giving any medicine to your cat. Acetaminophen and ibuprofen are deadly for cats and never give medicines containing these two ingredients to your cat. Keep all your medicines out of reach from your pets by creating a safe environment for them. If your cat eats or consumes anything that is suspicious always take them to the vet first to rule out any severe implications. Keep all the pantry doors and refrigerators locked at all times so that your cat is safe indoors.